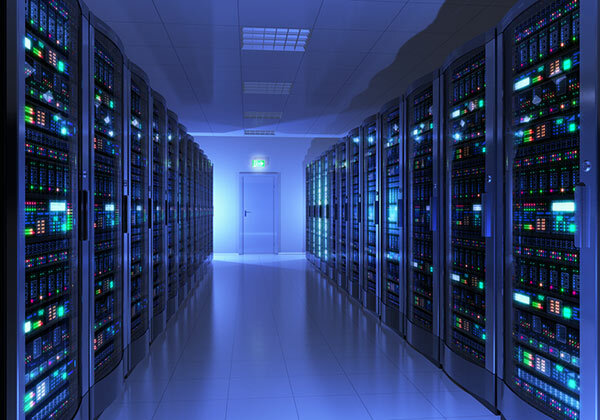 Which are the top 5 hosting shared hosting services for 2013? BlueHost, InMotion, WebHostingHub, GreenGeeks, and HostGator are definitely the top five shared hosting services for 2013. This list is based on several parameters which include server stability, customer service, affordability, access to server-based applications, and security. Shared hosting basically means that your whole website account which includes your e-mail, web pages, and other applications is hosted on a common server simultaneously with other users’ accounts. There are various factors you must consider before selecting the shared hosting service which is most suitable to you. Server stability is the single largest factor to be considered for business users. Reduced server downtime is absolutely critical for business websites because it translates directly to more business. Customer service and pricing are also important factors to be considered before choosing the right hosting service for your website. Let us look at the best shared hosting services for 2013. Bluehost has an overall rating of 99% across various parameters and is currently the most preferred shared hosting service. This company employs the latest technologies in both servers and server rooms. Besides being innovative and trustworthy, Bluehost is extremely reliable. This company hosts millions of domains and is the most favored service provider on the blogging platform WordPress. Important features include lightning fast servers, 24/7 customer support, secure shell access, unlimited disk storage, unlimited bandwidth, free domain, add-on domains, parked domains, and many more. The total number of features listed on the company website exceeds 70. Some of the website scripts in Bluehost are Joomla, Drupal, social networking scripts, Moodle, Tikiwiki, blog support, project management scripts, and many others. Priced at just $4.95 per month, it is definitely cheap when considering the number of features the company offers to the customer. Moreover, the reliable customer service department helps the customer in all aspects of web hosting. If you are a new customer, you can opt for the services of Bluehost without any hesitation whatsoever. InMotion has an overall rating of 97% across various parameters and is priced at $5.95 per month. This company’s hosting service operates on Unix and Linux systems. The average employee in InMotion has more than 4 years web hosting experience, and the customer is assured of the best quality service. The company offers unlimited bandwidth, unlimited disk storage, and free domain as standard features. Some of the design features include image galleries, Dreamweaver Compatible, FrontPage Extensions, Choice of 2 Web Builders, and many more. In fact, the total number of features listed in the company website exceeds 100. InMotion has received innumerable awards for its renowned and outstanding web hosting services. With an assured 24/7 customer support, the customer has a highly dependable staff to resolve all hosting issues quickly. This company not only possesses the latest hosting technology but also regularly exceeds customers’ expectations. Since InMotion is an able competitor to Bluehost in hosting services, you can opt for this company if the features offered suit your requirements. WebHostingHub has been providing web hosting services since 2001 and has an overall rating of 96% across various parameters. The service is priced at $4.95 per month and comes with a unique free money back offer of 90 days. Further, this company has a 99% server operation time guarantee and 24/7 customer support. Some of the special features include green data center technology, 100% Dell Servers which are factory tested, and premium website builder. The company also provides a host of content management systems like Geeklog, Moodle, Drupal, Mambo, and Joomla. This company offers a host of features for geeks which include PHP 5, Python, MYSQL 5, and GnuPG Encryption besides others. WebHostingHub has received innumerable awards in the field of shared hosting services. This company is certainly the first choice of geeks seeking the latest software advancements. GreenGeeks is a totally eco-friendly company and its hosting service is priced at a reasonable $4.95 per month. This company provides a 99.9% guarantee of server operational time and has an overall rating of 94% across various parameters. The company offers unlimited bandwidth, unlimited disk storage, and free domain as standard features. The special features include Multimedia features like MIDI file support, Flash support, Real Audio and Video support, and various others. The company also offers E-Commerce features which include Zencart shopping cart, Agora shopping cart, Password protected directories, and many more. The company is renowned for replacing the power it purchases with wind energy credits. In fact, these credits equal three times the amount of energy consumed for all the operations of the company. This company has developed several innovative methods of saving power. In fact, GreenGeeks is the recipient of innumerable awards for its various activities in conserving the environment. You can choose this company for your hosting services if you are keen on an eco-friendly service provider. HostGator hosts more than 8 million domains and its cheapest service is priced at $3.96 per month. This company has a healthy overall rating of 93% across various parameters. This company offers several hosting plans which are priced differently. Each package offers unique features. The company provides a 99.9% guarantee of server operational time, and this is guaranteed by the CEO of the company. HostGator offers several application hosting services which include Magento hosting, Joomla hosting, Wiki hosting, WordPress hosting and many more. The company offers programming languages which include PHP 5, Perl, SSI, and CGI among others. Further, the company offers programming modules GD Library, Curl, ImageMagick, and CPAN. You can opt for HostGator as your hosting service provider if you are looking for the cheapest hosting package. However, they do offer several premium website hosting packages as well. Summarizing, we can say that these are undoubtedly the top five shared hosting services providers of 2013. All these companies offer their customers affiliate and re-seller programs which provide them with ample opportunities to earn money. Further, all these five companies provide the latest world class security features which protect their customers’ interests. In your own interest, it is highly recommended that you visit the website of the hosting service provider of your choice and study the various features being offered. Please note that each of these service providers offer anywhere between 60 to 80 different features. You should make your final choice based on your specific website hosting requirements. Next: How to Safeguard Your Site from Google SEO Penalties?